This is the story of a slow, simple romance between two very ordinary men. Joel is a music teacher. Marcus is a landscape gardener. The story focuses on the lead up to an important high school concert that Joel is organising. This is gentle romance and I found the mundane domesticity of the story pretty tedious at times. There isn’t really any excitement at all. It’s a low-heat romance with a cute cat and a cute kid at the centre of it. Even Joel’s family estrangement resolves easily and doesn’t cause too much angst. Personally, I was bored. I found both Joel and Marcus pretty bland and I really wasn’t terribly interested in their lives. For me, fiction always needs to be more exciting than real life and this just wasn’t enough to keep my interest. In 2008 she completed her conjoint BA in English Literature and Music/Bachelor of Teaching. She has worked as a music teacher and a primary school teacher, and now works in a library. She is a member of the Upper Hutt Science Fiction Club and plays violin for Hutt Valley Orchestra. 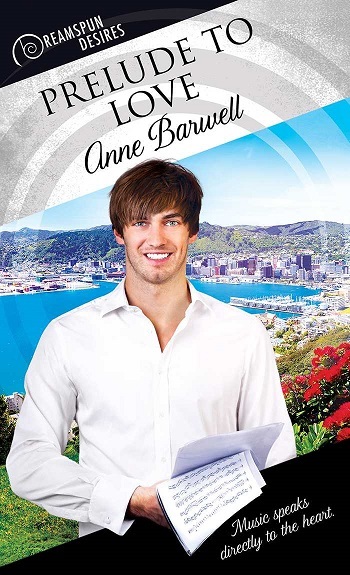 Reviewers on the Wicked Reads Review Team were provided a free copy of Prelude to Love by Anne Barwell to read and review.